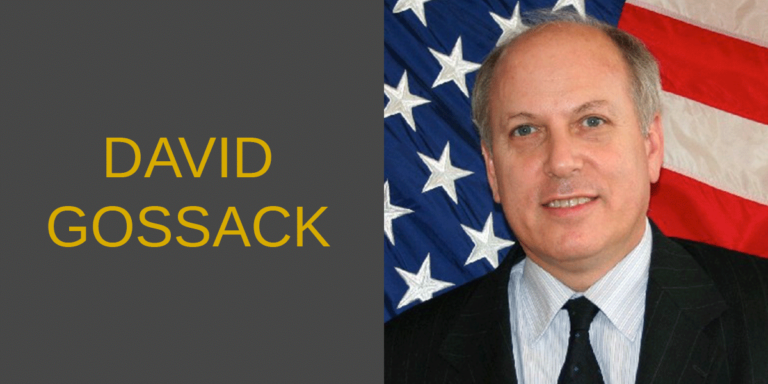 David Gossack is the Senior Commercial Officer at the U.S. Embassy in Seoul. He previously served as Senior Commercial Officer in Jakarta. Prior to that, he was Principal Commercial Officer at the U.S. Consulate in Shanghai from 2008-2011. He previously served as Commercial Attaché at the U.S. Embassy in Beijing from 2003-2007, in Bangkok from 1999-2002, and in Tokyo from 1995-1999. He is the recipient of numerous awards from the Department of Commerce. Earlier in his career he held positions in the State Department, at the American Embassy in Tokyo and the Office of the U.S. Trade Representative. From 1987 to 1990, he was Counsel to U.S. Senator Spark Matsunaga of Hawaii, Chairman of the Senate Finance Subcommittee on International Trade, where he was an active participant in drafting legislation in the Senate. Mr. Gossack subsequently practiced international trade and business law in a Washington, DC firm. He is a graduate of Stanford University and the School of Law at the University of Washington.